Qualter Hall has been awarded a prestigious new contract from the Environment Agency, via their National Framework Contractor, Birse Civils Ltd, for the refurbishment of the Dartford Creek Barrier. 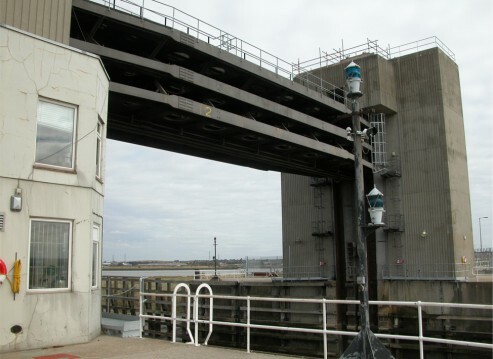 The Barrier was built in 1981 to reduce flood risk from the Thames Estuary to Crayford and Dartford and therefore protects thousands of homes in the area. The contract with a value of circa £1.9 million is due for completion in 2010. The refurbishment works to be carried out by Qualter Hall include the design and supply of new hydraulic drive and braking systems, new electrical and control systems and refurbishment of the hydraulic latch system including new hydrualic cylinders. Qualter Hall will also be responsible for the on site installation, testing and commissioning. Work began on the new design at the end of October 2009 with on site operations starting in April 2010. Extensive testing and commissioning will take place during August with a final completion date in September 2010. The barrier comprises of two gates that travel vertically, driven by a chain system. 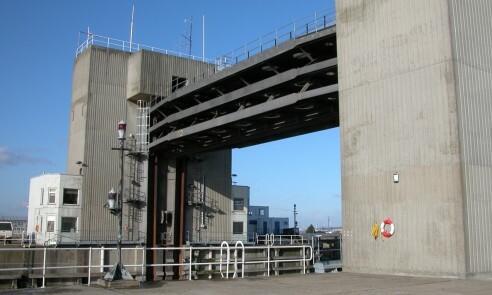 Each of the two gates is balanced by two water-filled counterweights. The complete gate system is supported on two towers in which the counterweights are suspended and guided. Each gate is approximately 30 metres wide x 5.1 metres high. The gate tracks on the outside of the towers are so arranged that when lowered, the gates are placed one on top of the other to form a 10.12 metre high barrier across the creek. Says George Orton, Managing Director of Qualter Hall: "Following on from last year's prestigious Hull Tidal Barrier contract award, the company is delighted to have been awarded further flood barrier refurbishment and upgrade work by the Environment Agency. The award signifies the Agency's trust in the ability of the company to provide a professional quality turnkey service on their strategic UK flood risk alleviation programme, which is a credit to the company's team of engineers and tradesmen. The project brings interesting logistics and challenges working in and around existing operating equipment, for example, a key feature of the upgrade is ensuring at all times that one gate is available in the event that operation is required."